Don’t miss out on your chance to bid on a beautiful beach house on Dauphin Island, AL with enough space to sleep up to 16 guests. This gorgeous 5,100 square foot getaway boasts waterfront views, a recently renovated and spacious kitchen, and a large patio with a pool and jacuzzi overlooking the north bay. A week at this vacation home is valued at $5,000! 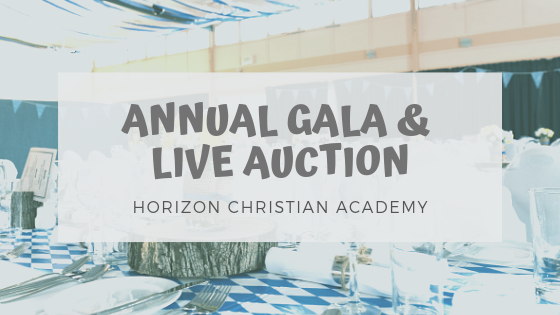 Thanks to generous donations from the HCA community, all proceeds from the Gala will be used to make improvements to the school campus such as purchasing new playground equipment for students play on during outdoor recess. Recently all proceeds from the Gala have been used to make improvements to the property such as purchasing new playground equipment for the students to play on during outdoor recess. Funds during this year’s Gala will be used to continue to provide facility expansion and growth.